Wasn't sure if I should even start a post about it, but it is indeed an excellent deal and I guess it's worth sending you all an update on it. Dappered.com recently had a couple of articles on Indochino, this time they are back with a really good coupon code. You can enter dappered.com at checkout to receive 100$ off any Indochino suit above 349$. If you for example buy the Navy Walker Suit, you'd buy 299$ instead of 399$ you effectively get 25% off. Quite a nice deal - unfortunately, it's not valid for long, the coupon expires 22/10/2010 - probably just before they introduce their October Collection. One more thing, I know people have been wondering if the style of new collections affects the outcome of the suit. In other words, if you ordered a suit 4 months ago and you order again now with the same measurements, will the suit be the same or will it be different? According to Angie, the style of their suits didn't change, only the models. 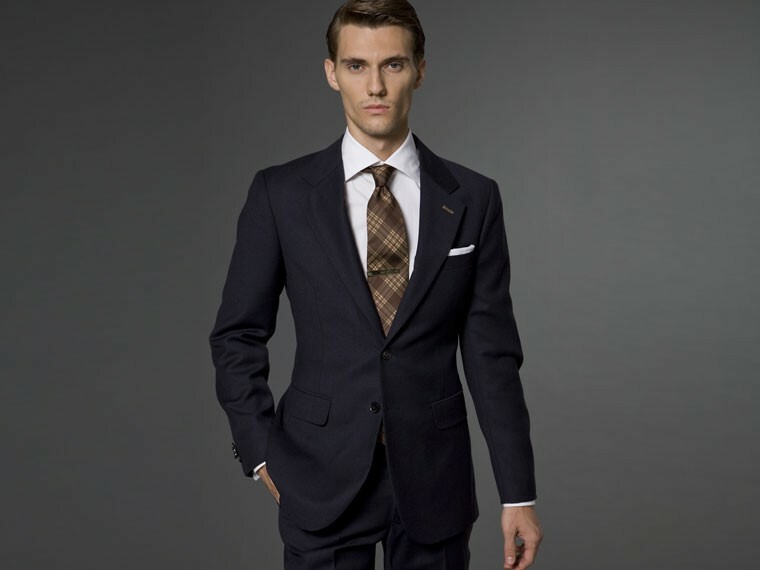 A suit ordered with the same measurements will therefore always look the same. Actually, they always look a little bit different in my personal opinion, because they don't just employ one tailor and everyone seems to do it a tad different. Furthermore, the Survey is about to reach 100 participants at which point I will analyze the results, so you can expect something about that soon. Probably in addition to a new Indochino Collection next week or the week after!